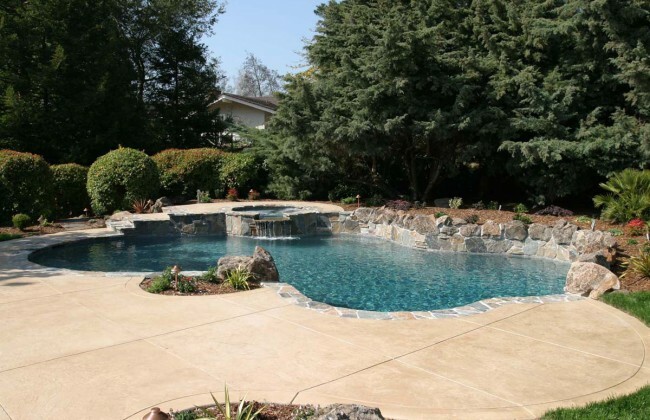 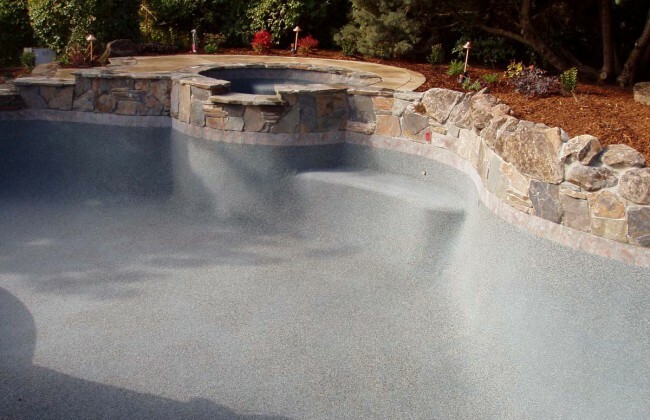 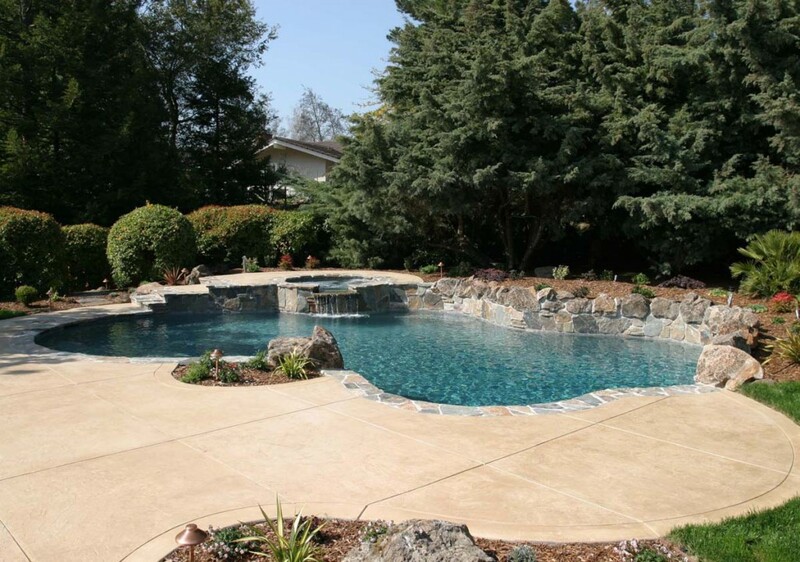 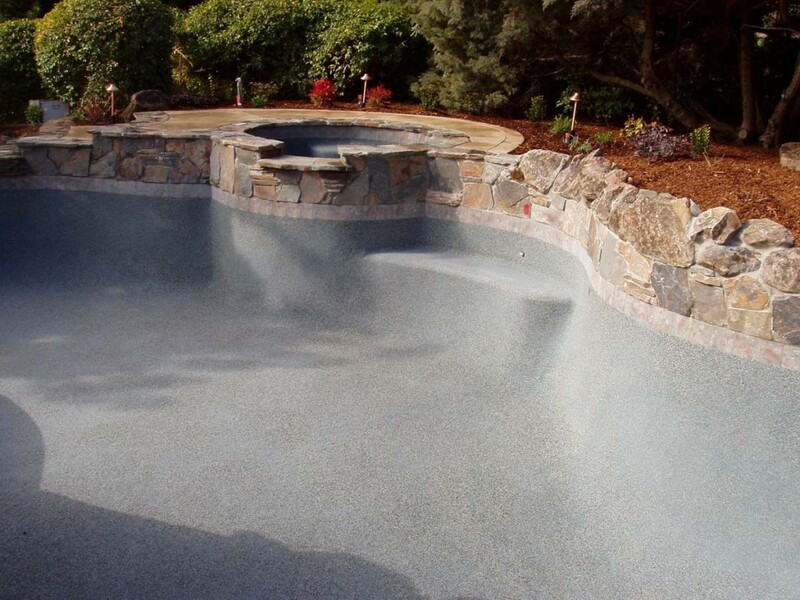 Riviera Pools is dedicated to building beautiful pools that maximize the characteristics of each yard while being dedicated to best in class swimming pool construction. 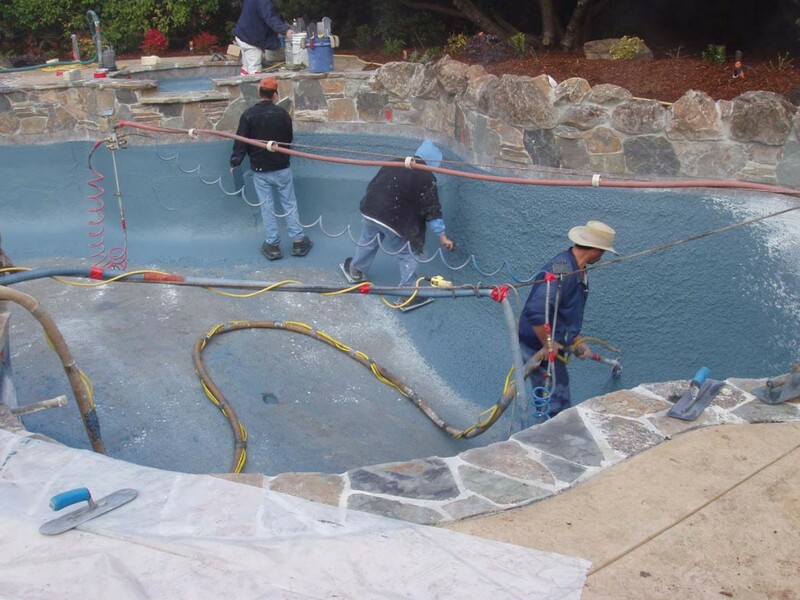 Layout: Pool is painted per plan. 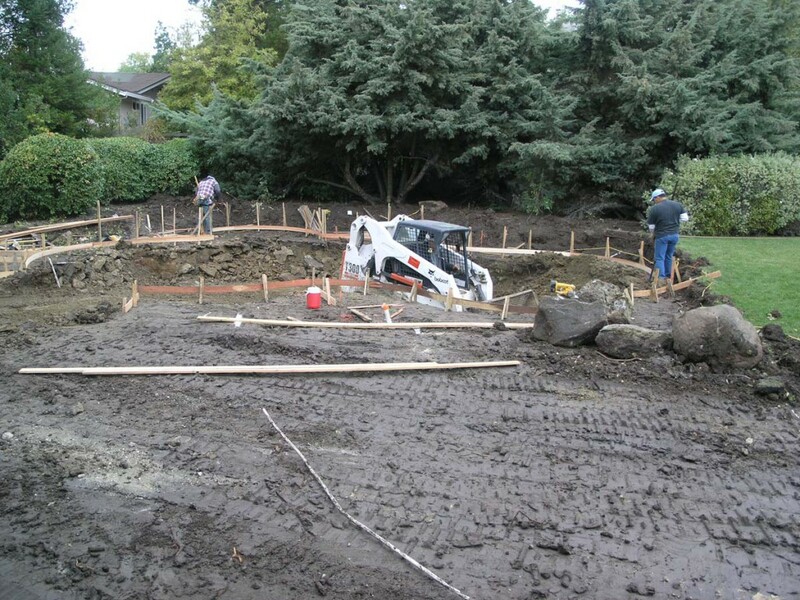 Dig: We start digging the shallow end first. 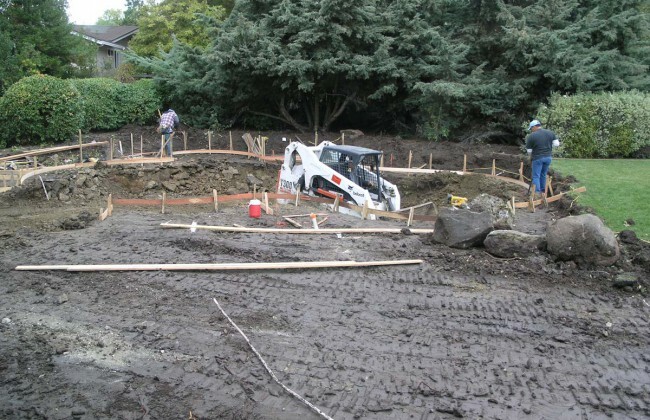 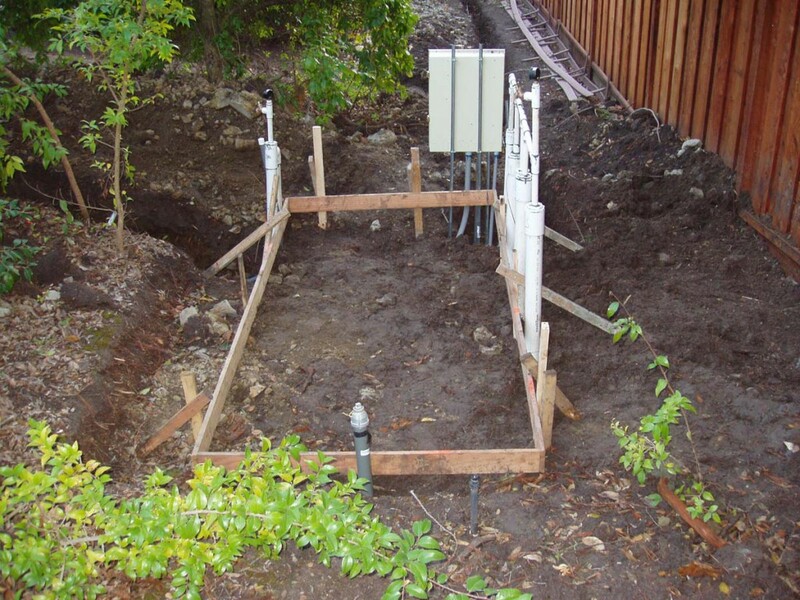 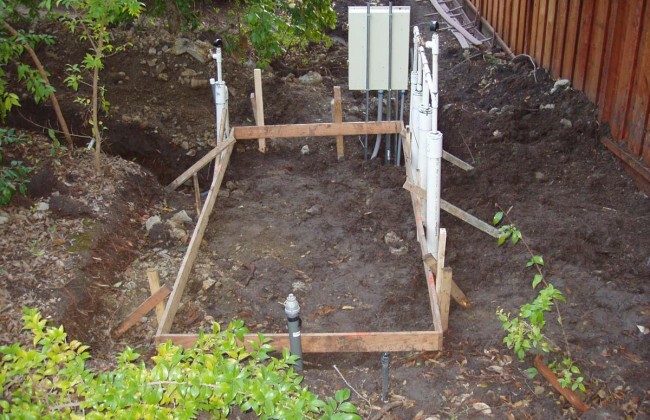 Dig: A standard bobcat can dig most pools. 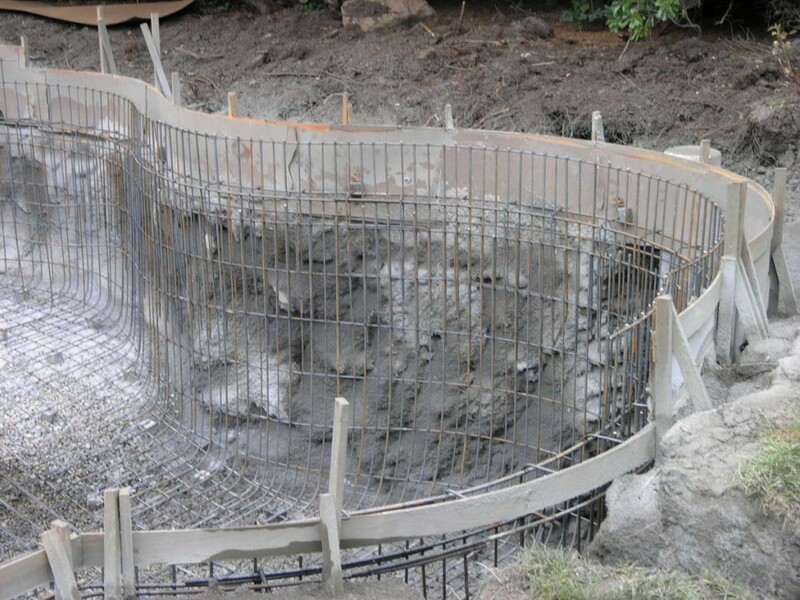 Steel: Steel is used to strengthen walls. 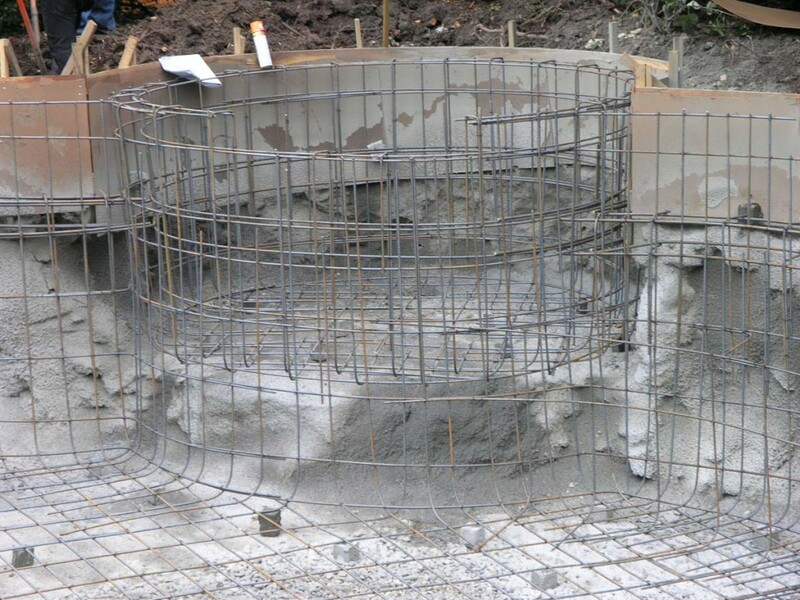 Steel: The steel is installed per engineers plan. 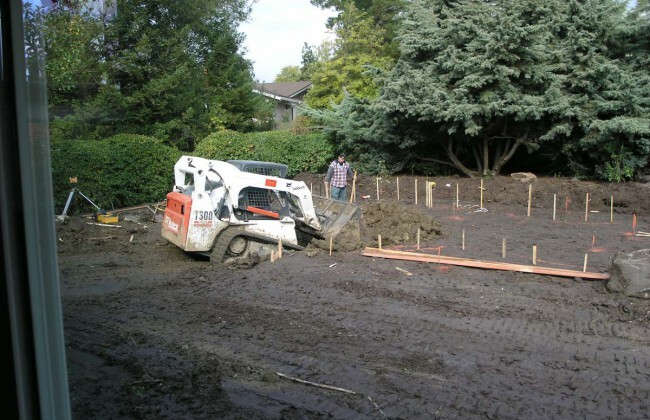 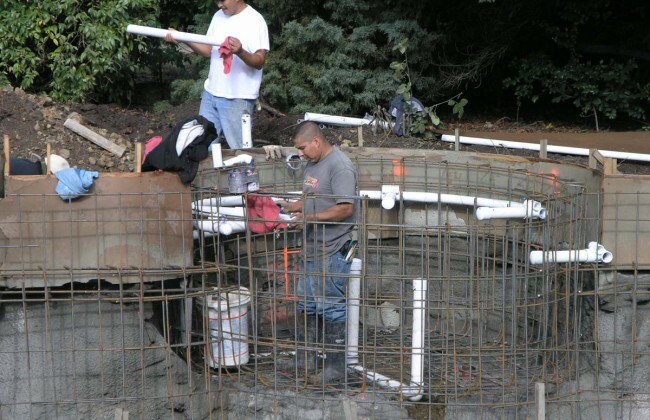 Plumbing: Plumbing size is critical for proper hydraulics. 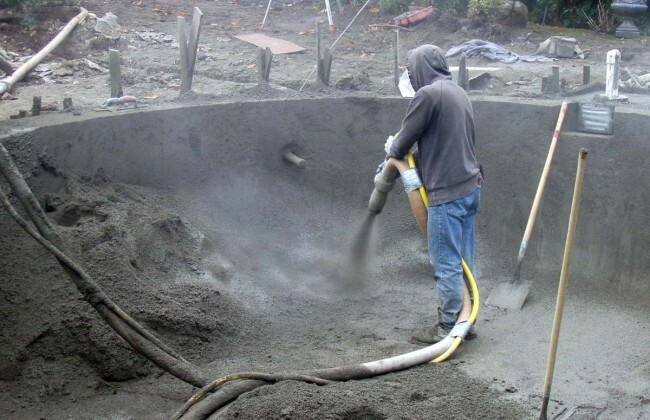 Gunite: Shooting gunite is a an art form. 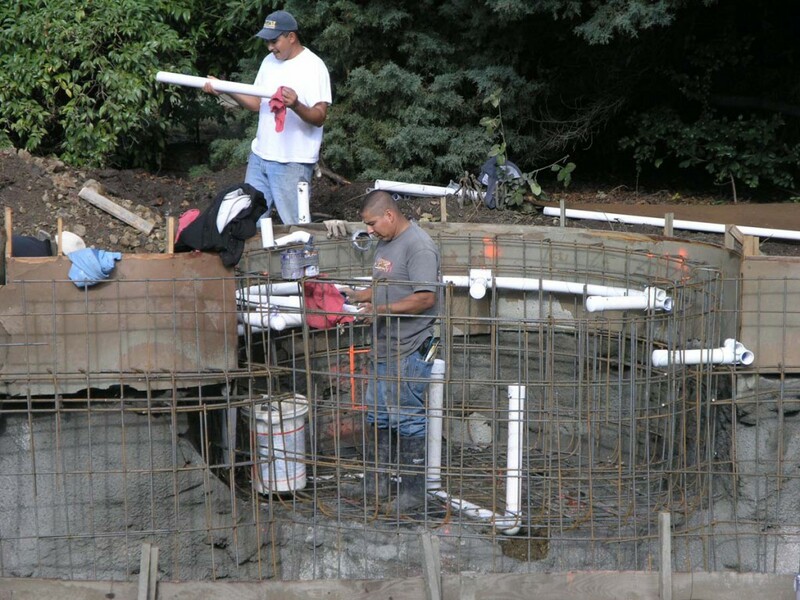 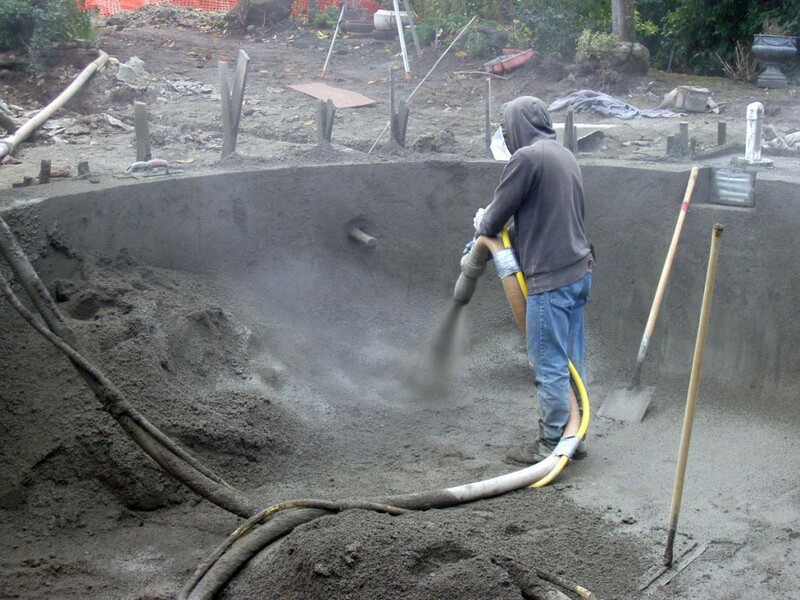 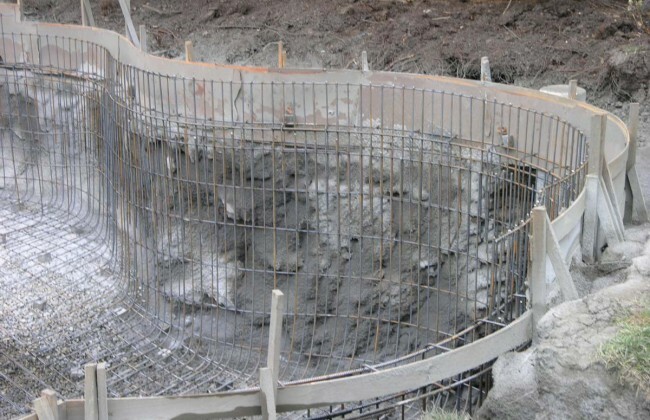 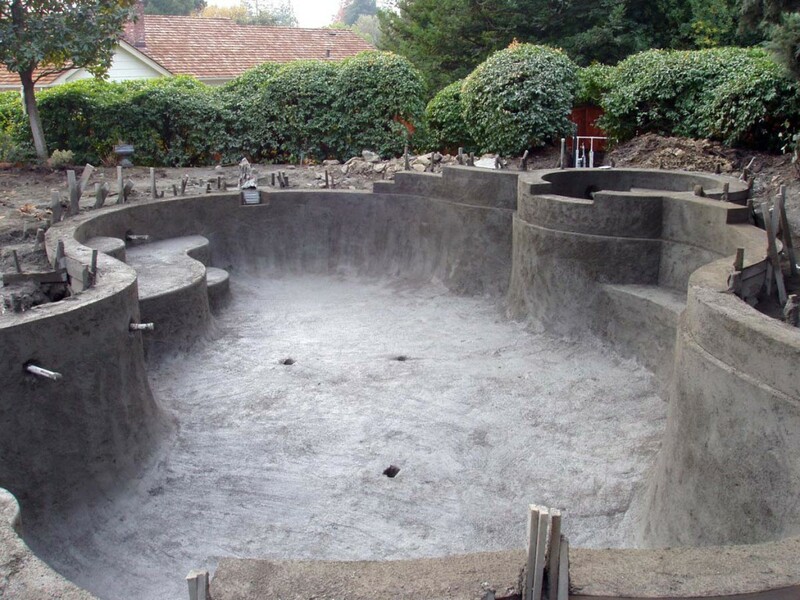 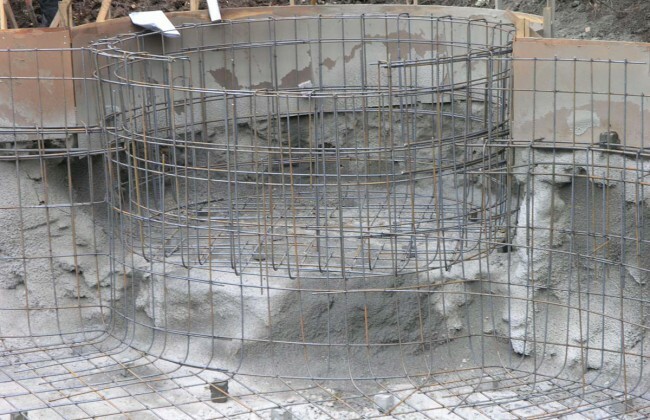 Gunite: The gunite is shaped, then left to cure. 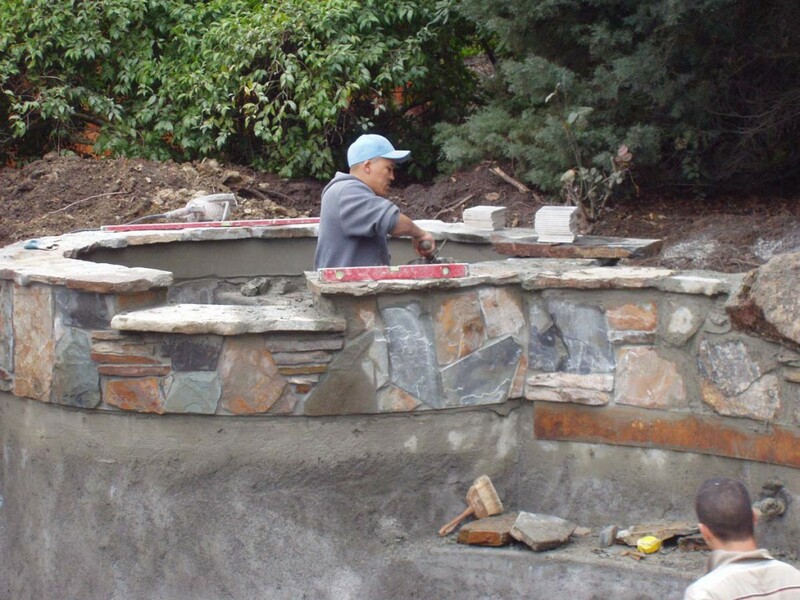 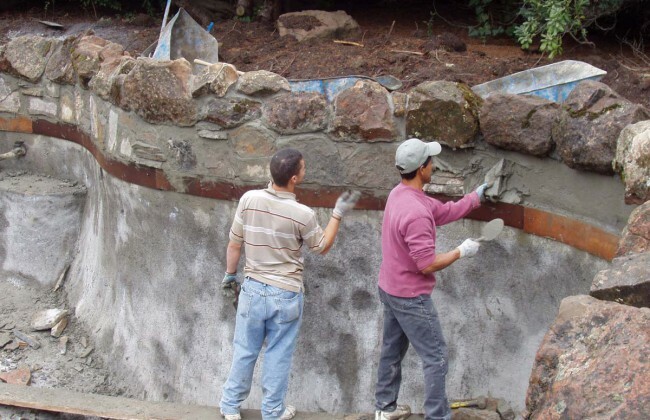 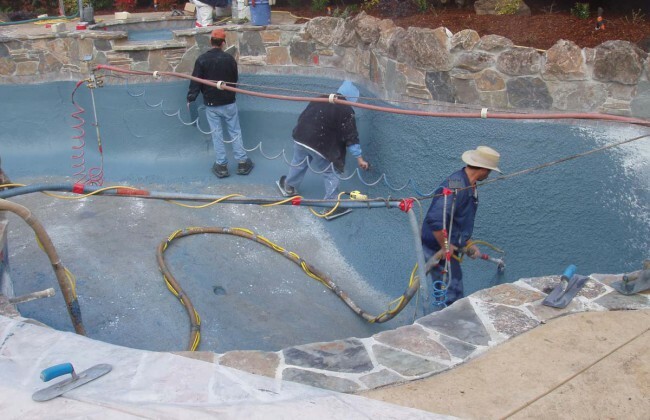 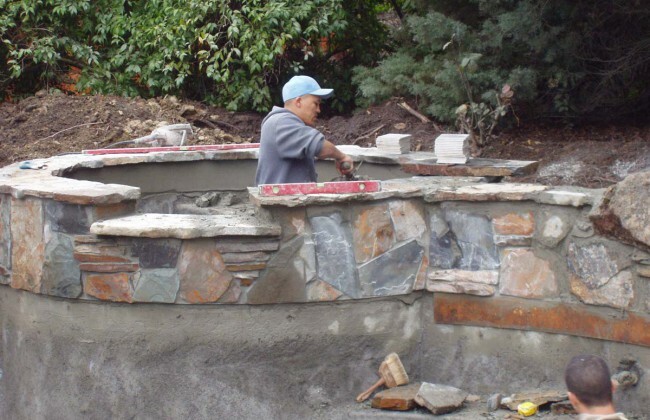 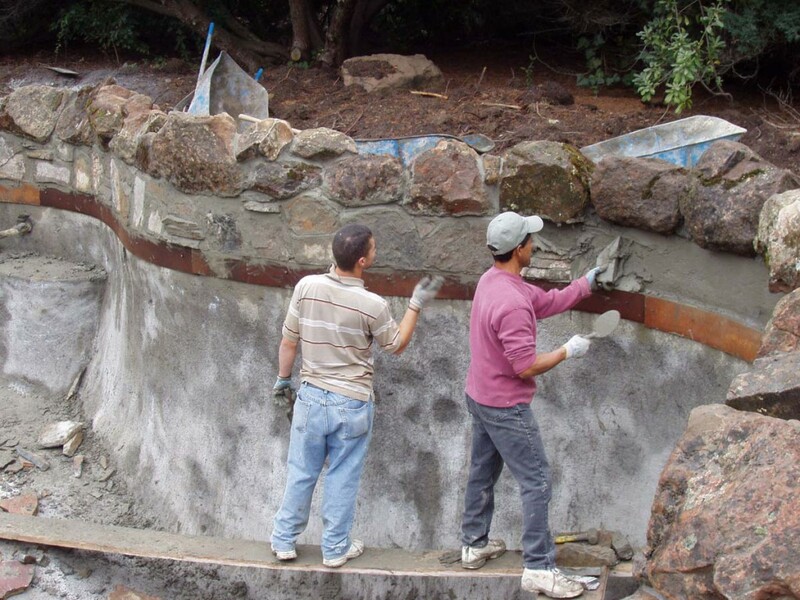 Rock Work: The masonry work will begin to beautify the pool. 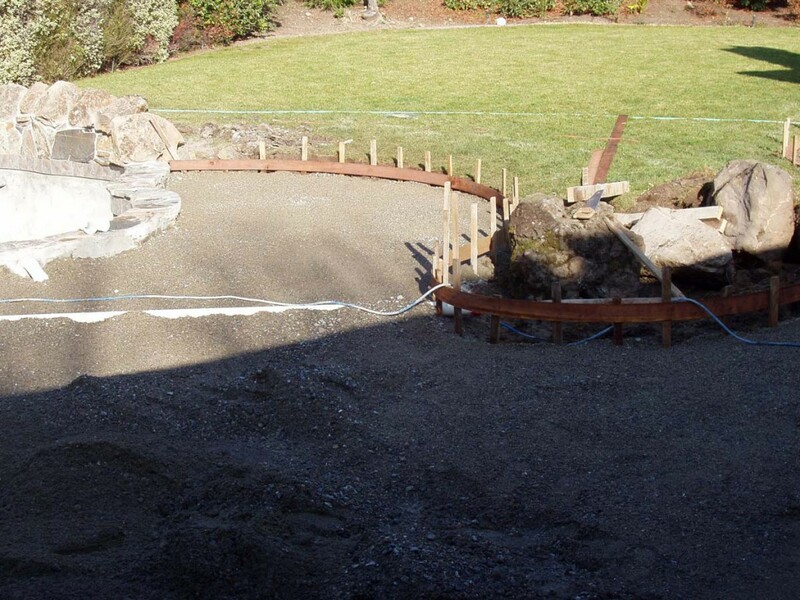 Tile: The installation around the waterline is next. 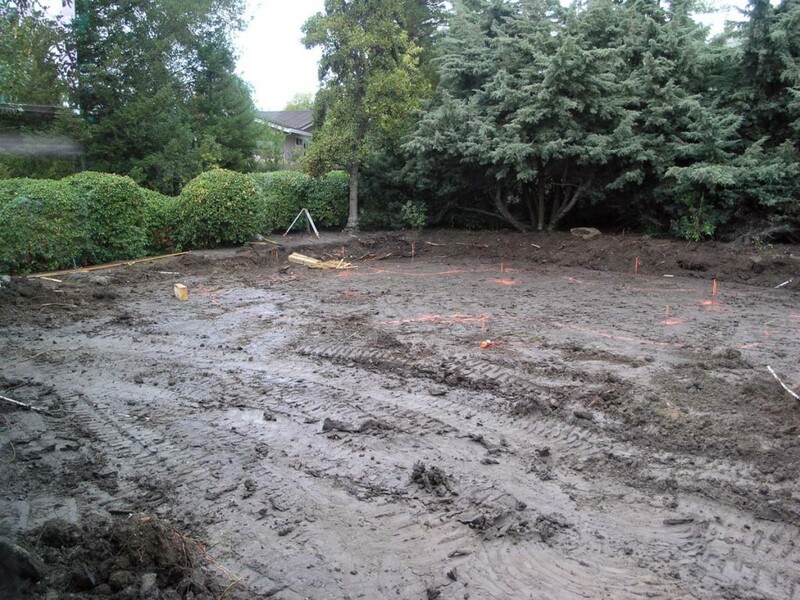 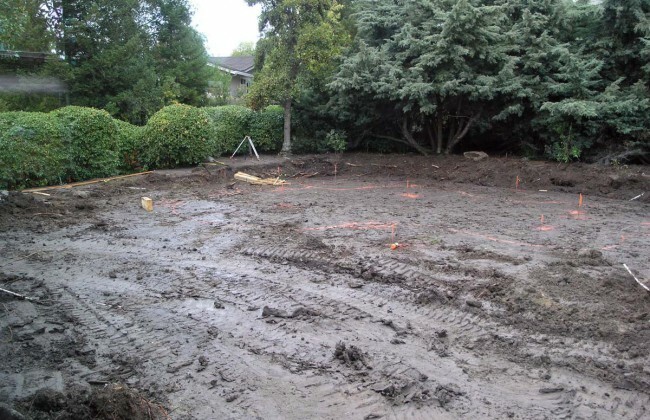 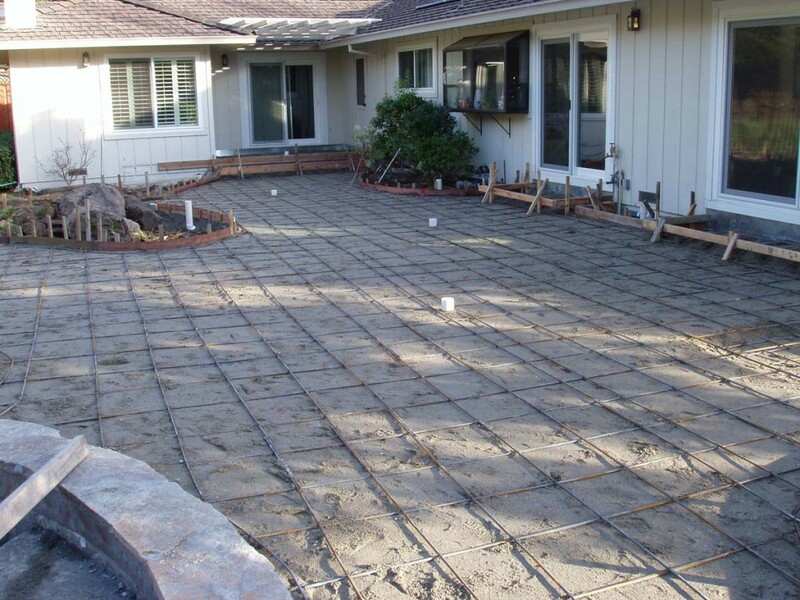 Form Patio: After masonry, the patios need forming. 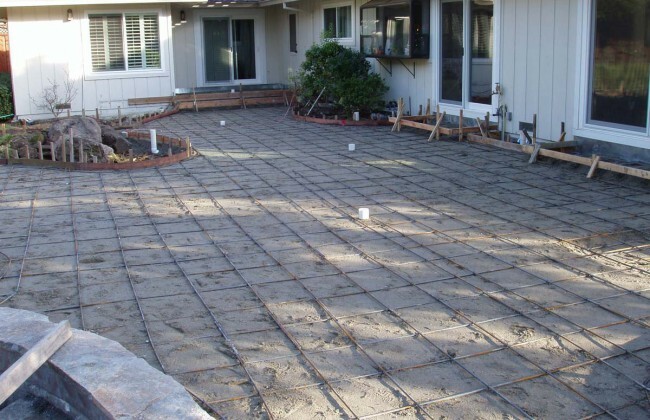 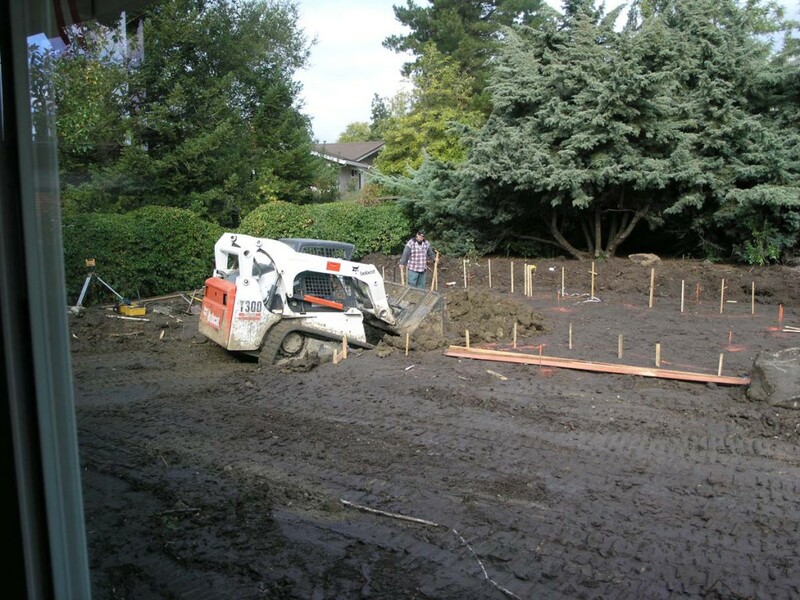 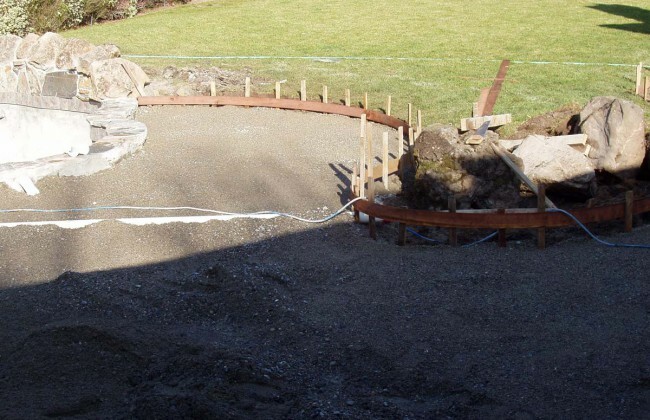 Steel in Patio: Gravel and steel are laid prior to pouring concrete. 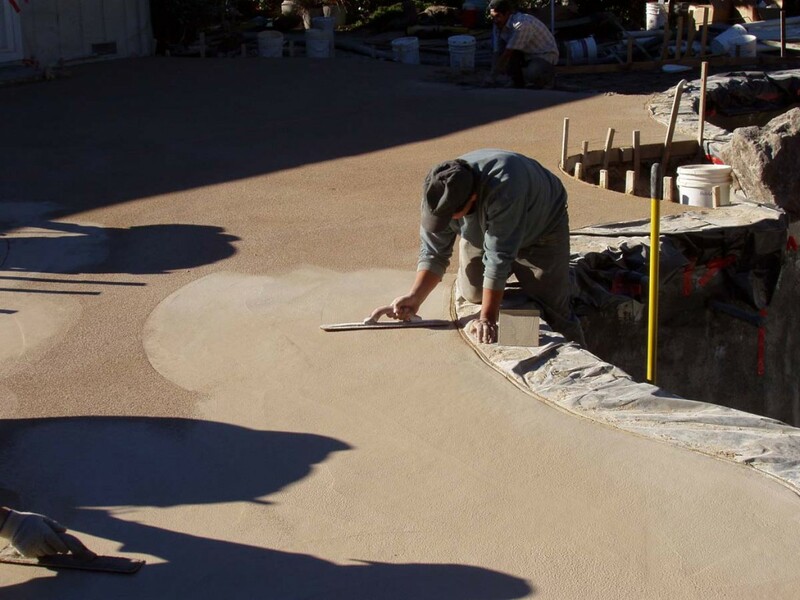 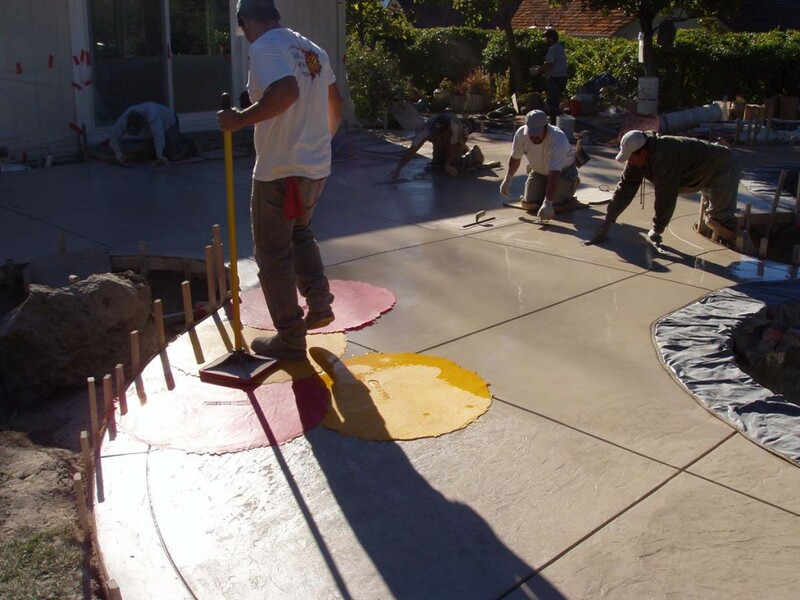 Pour Patio: The concrete is poured and troweled. 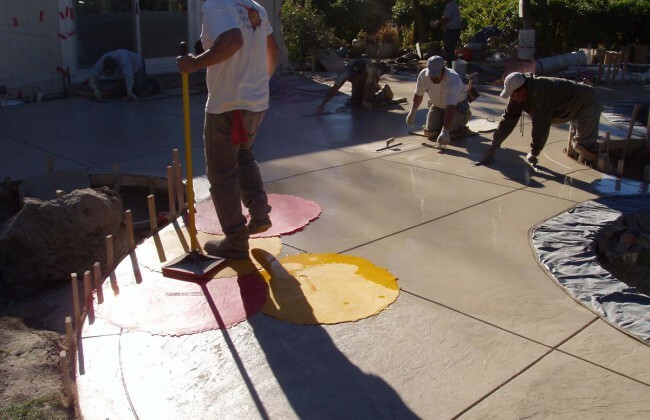 Deck Stamping: The stamping gives the patio some nice texture. 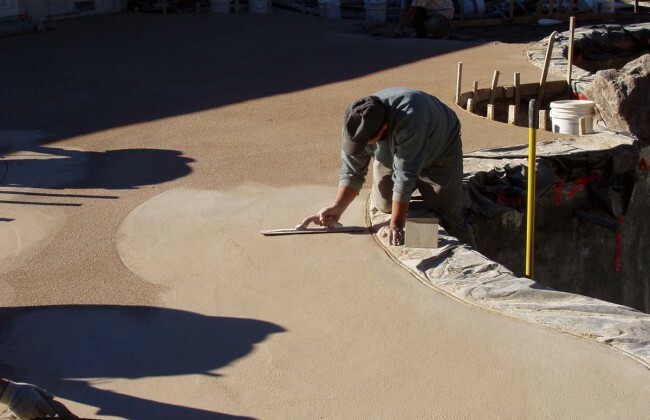 Applying Plaster: This is a pebble finish. 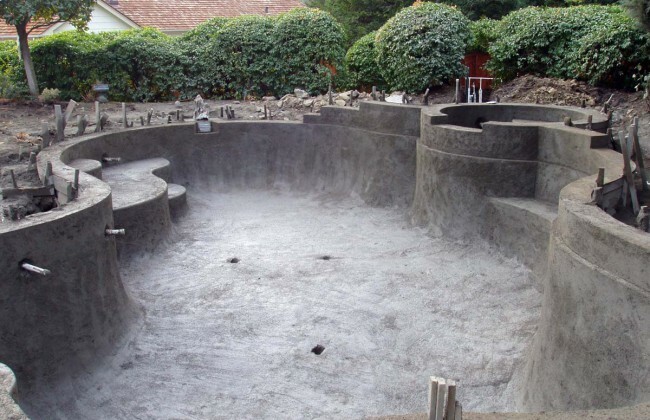 Plaster Completed: We are ready for water.